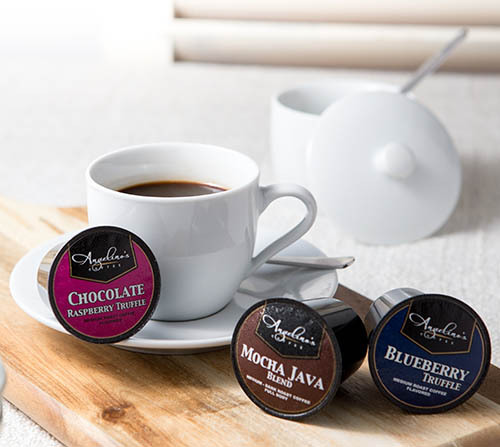 Angelino’s Coffee is a K-cup coffee subscription box. While I’ve reviewed the larger bundles before, we thought it would be great to show what you actually get in a free trial box! The packaging on the trial shipment is pretty simple — it includes a card showing the varieties Angelino’s offers and the price-per-cup. Also, free shipping and auto-delivery are available. Here are the varieties I received in my sampler. It included 12 of the 18 flavors listed on the card. Excluded were six flavored coffees: Blueberry Truffle, Creme Brûlée, Chocolate Fudge, Cinnamon Twist, Coconut Macaroon, and Pumpkin Spice. I think these are new additions since the last review (or the majority are, at least, since I don’t recall seeing them in the “flavored coffees” selection we ordered last time), and I would have liked to try them out. My Keurig is aging, so its performance is not great — but the cups worked as well as any other K-cup or substitute. 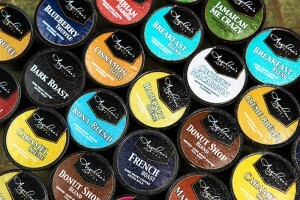 All the varieties produce a nice cup of coffee, and the flavored coffees are pleasant and not artificial-tasting. The dark roasts (Dark and French) were bold, but not burnt or bitter. Those who have read my coffee reviews know that I have grown to dislike the uber-dark roasting technique used by some roasters. It renders a consistent flavor, but it overpowers the natural flavors of the coffee. The Angelino’s dark varieties are not over-roasted, and they have a nice deep flavor. I think the Donut Shop and Mocha Java are the “flagship” coffees for Angelino’s and each rends a nice, drinkable cup. Angelino’s Coffee is more mainstream than most of the clubs I’ve tried — there are no crazy outlier flavor notes, and they offer flavored coffees. If you are currently buying ground coffee, this is a great, approachable brand.